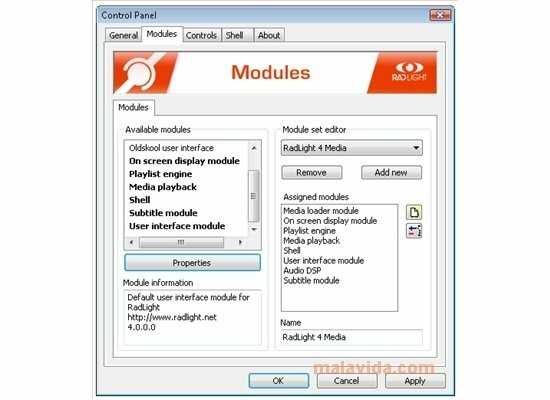 RadLight is, at a glance, another media player. 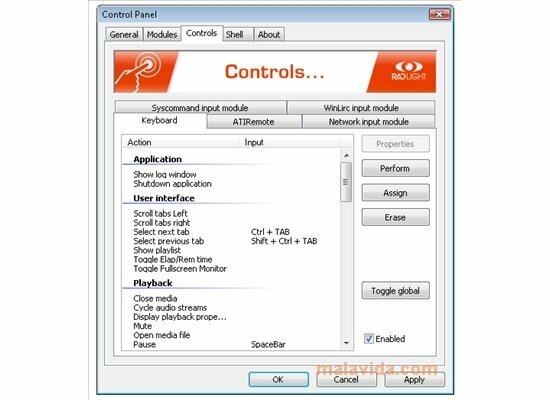 But the truth is that we will find that there is a versatile multimedia solution hidden under its simple appearance, that is capable of playing the majority of video and sound formats without requiring the installation of any additional software. - Advanced multimedia file playback. 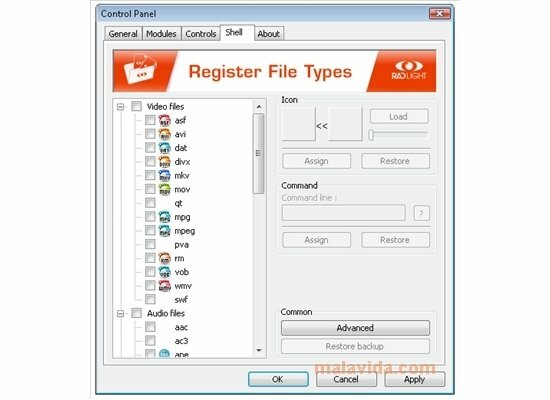 - Controls with great usability, that are always available at a move of the mouse. - Modular architecture, that reduces the resources used by the application. - Interface that is customizable by means of skins. - Possibility to launch the application various times. - Compatibility with the main audio (AC3, AAC, CDA, FLAC, MIDI, MP2, MP3, WAV, OFF, RAM, etc.) 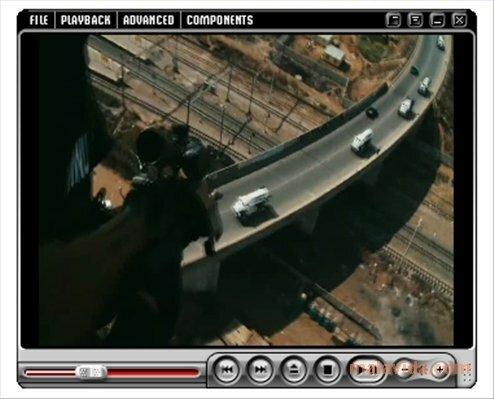 and video (ASF, DAT, AVI, MOV, QT, MPG, DIVX, MKV, SWF, …) formats. - Support to work with subtitles and playlists ( BSL, FPL, M3U andd PLS). This player adapts to any PC, thus, after finishing its installation and before launching the application, we will be able to choose between using the classic Windows interface (advisable for less powerful computers) or enjoy the innovating appearance of RadLight.